On the banks of the Deerfield River in Monroe, Massachusetts sits what is left of a paper mill that has long since closed. The mill is completely dilapidated and is now an asbestos-laden mess that is slowly slipping into the river. Not only is it an eyesore that many would like to get rid of, it is an ever increasing environmental disaster in the making that needs to go, according to a recent news article from Mass Live. If it is not addressed soon, it will certainly fall into the river, and that will release large quantities of deadly asbestos fibers, as well as a great deal of waste and other debris, into the water and surrounding soil. This is certainly something that residents and country officials, as well as the U.S. Environmental Protection Agency (EPA), would like to avoid. 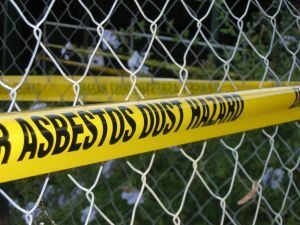 While most people these days are aware that asbestos fibers are deadly when inhaled, as our Boston asbestos exposure attorneys can explain, they are also deadly when ingested, because they can become embedded in the protective layer of tissue known as the mesothelium, where they can metastasize into malignant mesothelioma. This can occur in the stomach, lungs, or chest cavity, and then spread to any other party of the body over a period of 20 to 50 years. There is no more likely way to ingest the deadly asbestos fibers than when they enter a waterway or seep into the groundwater tables. This property was sold to a New England man around 20 years ago, and this man has allegedly not responded to numerous court orders to raze the complex. Around 17 years ago was the last time the taxes were paid, and the county recently took possession through a legal process known as eminent domain that allows a government to take private land and use it for public purposes. This normally involves paying some degree of fair value to the owner, but that money can be used to satisfy back taxes, as was the case here. Prior to acquiring the old mill, the Commonwealth granted the amount of $250,000 to the county to cover the cost of asbestos abatement work and to demolish the mill in a way that will not impact the environment. Once demolition is complete and inspectors certify that there is not asbestos or other toxic waste left onsite or in the soil, it will be made into a riverside park for the benefit of the community. In addition to the asbestos, which is known to be on the property, there is other toxic waste including lead, mercury from florescent light tubes, old tires, and petroleum based products that can all pollute the river should the building be allowed to continue to deteriorate. In addition to local residents, the river is also used to generate hydroelectric power and is used for whitewater rafting. The owners of these businesses would also like to make sure the water is not filled with deadly asbestos fibers.